What is Early Literacy and Why Should I Care? Early literacy is what children know about communication, language, reading, and writing before they can actually read and write. It is all of a child’s early experiences with language, stories, books, and print. Early literacy matters because many of Alaska’s young children enter kindergarten without proper early literacy skills. These literacy skills are necessary for children to learn how to read AND to become good readers. When a child reads well, it leads to greater success in school (including high school graduation), higher self-esteem, and wider choices and options in life after they leave school. During the first three years of a child’s life, the brain develops at an extremely fast rate. This is when children are more receptive to gaining language and literacy skills. It is critical that during this time we promote early literacy. Early literacy can be divided early literacy into five skills or components. Children need ALL of these early literacy components to be good readers, though they will not obtain them in a particular order. The organizations listed below are dedicated to early literacy and/or early childhood education. The list is divided into two sections: Alaska statewide organizations and national organizations. Dedicated to strengthening early learning programs through advocacy, education, and leadership. AHSA represents all 16 Head Start programs in Alaska. 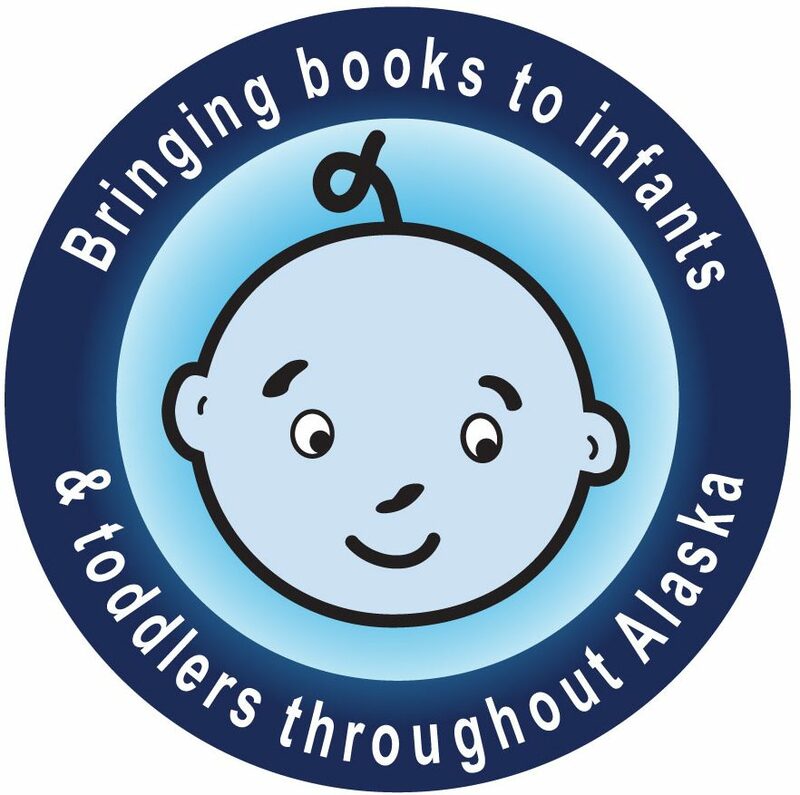 Program run by the Dept of Health and Social Services that promotes access to a flexible array of quality services to all Alaskan infants and toddlers with special developmental needs and to their families. The Anchorage chapter of the AEYC is working to bring high-quality early learning opportunities to all children from birth through age eight and serves the needs of early childhood education professionals in the Anchorage area. A public-private partnership that mobilizes people and resources to ensure all Alaska children begin school ready to succeed through support from businesses, foundations, nonprofits, government, and individuals. Six newsletters annually in addition to timely e-mail alerts, which communicate events or important issues that affect early learning efforts in Alaska. Imagination Library mails a FREE, high-quality, brand-new book each month to children from birth to age 5 who live in communities that support the program. Serves 110 communities. Website created by Partnerships for Families & Children (PFC) — a Best Beginnings Partnership. PFC is a group of 20 non-profit and state agencies working together to promote a web of community support for young children and their families. The Northern Interior chapter of the AEYC serves early childhood education professionals in the Interior and other parts of Alaska. A support network that empowers parents to give their children a great start in life, includes one-on-one home visits and group events. Administered by RurAL CAP. Serves 19 communities in AK. Nonprofit organization of medical providers who promote early literacy and school readiness in pediatric exam rooms nationwide by giving new books to children and advice to parents about the importance of reading aloud. There are 65 locations in AK. Click on “Find a Program” to find the closest location. The Southeast chapter of the AEYC serves early childhood education professionals in southeast Alaska. Helps parents make informed choices about child care and education. thread also holds family events and parent workshops. Offices in Anchorage, Fairbanks, Juneau, Kenai, and Wasilla. Non-profit dedicated to promoting reading to young children and encouraging parents to bond with their children through reading. Website has booklists, reviews, articles and an iPhone app to help record reading progress. Aimed at providing early literacy resources to library staff as they help new parents to become aware that reading to a baby from birth is critical to every baby’s growth and well being. ECRR is a parent education initiative created by the Public Library Association. It stresses that early literacy begins with the primary adults in a child’s life. The ECRR toolkit is available for purchase. Annual recognition given to picture books that provide excellent support of early literacy development in young children, will serve as a collection development, program planning, and early literacy information resource for librarians, educators, and caregivers. NIEER conducts and communicates research to support high-quality, effective early childhood education for all young children. The Institute offers independent, research-based advice and technical assistance to policymakers, journalists, researchers, and educators. Network of children’s librarians nationwide who believe that literacy begins at birth, and that libraries can help build healthy communities by nourishing healthy families. The program focuses on the parent-child relationship and aims to expand the role of public libraries as key players in family and early childhood development, parent and community involvement, and lifelong learning beginning at birth. Professional learning network that works to develop promising practices for the incorporation of new media into library collections, services and programs for families with young children. An award-winning early-literacy program for children from birth to age 3 with their parents or caregivers that uses a variety of activities, such as rhymes, songs, puppets and instruments to foster speech development, motor coordination, self-confidence, and sensitivity to others. Program materials are available for purchase. Non-profit organization that is working to make reading aloud every day for at least 15 minutes the new standard in child care. Ghoting is an expert on early literacy who offers trainings and workshops for library staff and at national, state, and local conferences. Her website has a wealth of early literacy resources for librarians. National non-profit organization that provides parents, professionals and policymakers the knowledge and the know-how to nurture early development. This project is made possible by a grant from the U.S. Institute of Museum and Library Services to the Alaska State Library under the provisions of the Library Services and Technology Act.